With CCTV becoming ever more accessible, Seen Security pride themselves on the installation of innovative products from the likes of Hikvision, Avigilon, Samsung, Bosch, Verint, Axis and Honeywell. 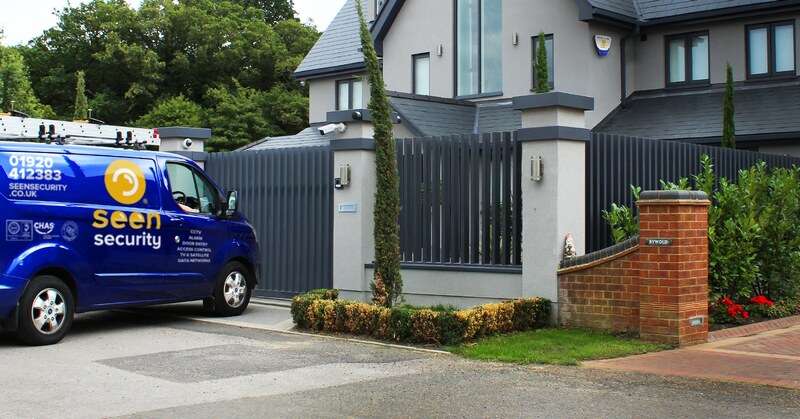 We have been installing CCTV solutions for over 15 years, Seen Security installations can adapt to any solution, to any environment required, whether internal or external. with the heart of Seen installations being within London and the Home Counties, however please contact us for our national coverage. Seen Security can provide 2-12 megapixels IP CCTV systems, these have a huge benefit with higher definition and clarity. Please email our team for the latest on innovation. Economically more budgetable, HD CCTV cameras can utilise existing analogue cabling if required, allowing for further savings on time and cost. Digital video recorders (DVRs) and network video recorders (NVRs) allow you to store large quantities of data. DVRs and NVRs can be searched locally or can be searched over your network or remotely via your smartphone or any other IP enabled device (laptops, tablets etc.). These systems are also accessible via hardwired desktop computer systems. Easy to use search options allow you to search by time and date, alarm activation and much more. All of the above in simpler terms gives you flexible accessibility, instantly. Remotely monitored solutions take away the worry and concern associated with protecting your environment, whether it be your home or place of work Seen Security can set up remote monitoring. Your CCTV system will then be able to send footage to a central monitoring station. In the event of an intrusion attempt or fire, trained station staff can assess the situation and take the appropriate course of action; if a PA system is installed they can verbally challenge an intruder, or announce a fire alert for example. Your CCTV camera installation can be used to verify intruder alarm or a fire alarm activation. When used in conjunction with our central monitoring station this will give you instant police or fire service response to your premises. Analytic based CCTV solutions help to harness the power of your installed CCTV system. Similar to remote CCTV monitoring, it can save on the cost of manual labour in a commercial solution. Many of the IP CCTV cameras we install now have more basic analytic development alike with the Hikvision solution, or even more innovative and advanced – ‘the Aviglion’ systems have CCTV analytics rooted into their systems. CCTV analytics software identifies events such as unauthorised entry, vehicle or object movements, or any potential threat and notifies the system that they have taken place. It is also artificially intelligent, so the system learns and grows to differentiate between genuine and false alarms, saving time and money. Identifying vehicles by their registered number plates is key to transport security. ANPR systems are used in tandem with CCTV analytics to create access lists so that gates, bollards or barriers open automatically when an authorised vehicle approaches. Alternatively, you can remove the barriers altogether and create a ‘digital fence’ which simply notifies security staff when a new or unauthorised vehicle enters the site. This helps to create a more open, welcoming environment without reducing security. In a domestic environment this protects the most rural properties from approaching, or unwanted registered vehicles onto your property. Utilising your existing analogue CCTV camera installation with a new network or IP CCTV system gives you the ability to integrate with video encoder and decoders. All the benefits of a network-based IP CCTV system are retained, without removing existing analogue cameras and cabling. If your budget does not allow for a full IP CCTV upgrade in a single phase, bespoke adaptable installations can be implemented for a stage-by-stage solution. Please give one of our engineers a call for further details. As well as providing a CCTV System installation service, Seen Security also operates a Repair & Maintenance service. As part of the installation process we will draw up a comprehensive maintenance plan for your system, future proofing our service through innovation.  Inspection and servicing existing CCTV Systems are also our strength here at Seen Security, so you can be sure they are installed correctly and maintained to the highest standards. For more information, visit our service & maintenance page.